The Doctor is here to save us all. The 900 year old alien who travels through time and space battling various injustices is the savior we all need. He's even helped Brad Pitt fight zombies in an appropriately enigmatic and dare I say "cheeky" cameo. The nerd culture mainstay is celebrating his 50th anniversary in a few weeks and I thought I'd chime in with a few thoughts. Ok ok, fine...a confession. As a self proclaimed nerd I am totally guilty...I never watched Doctor Who until a few months ago. I know I know...I love space and time Travel and whimsy and yet for whatever reason I stayed away. I had always meant to get around to it, but for whatever reason I never got into it. Until a perfect storm of podcasts, friends suggesting and availability clashed together and I took the plunge and watched Eccleston's first episode as the 9th doctor. Like many a fool before me I had attempted to break it down. But honestly how could you choose? Eccleston brought a dark and brooding nature to the role. We see the pain of being responsible for so much death across Eccleston's face. With incredible subtlety we see joy begin to seep back into his life as he begins his adventures with Rose. 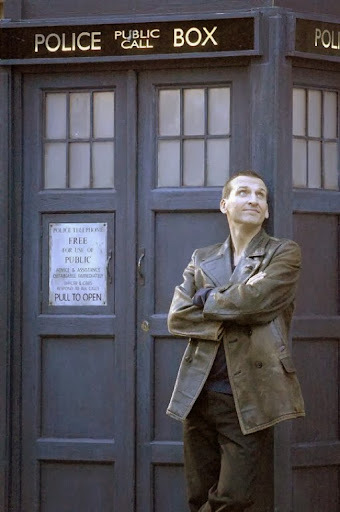 Eccleston was my first doctor and one I can never forget. He only had one season, but he nailed each beat...my favorite? I don't know but he deserves discussion as much as Tennant or Smith. Then there's Tennant. Now truth be told I had just gotten used to Eccleston and then BOOM regeneration. But an episode or two in and I was bought in. Tennant brought the whimsy and the dark. Tennant nailed the emotion necessary to make the Doctor the tragic figure that he is, while still imbuing the series with an exceptional amount of fun. I'm pretty sure he's my favorite doctor, if anything he for sure has my favorite episodes. His episodes are by far the most rewatchable and easily the ones I've revisited over and over. It's the first time we see the Weeping Angels, we meet River for the first time. Most of all though his takes have the most emotion out of all the doctors. His goodbye to Rose, his sacrifice for Donna's Grandfather, his breakdown on Mars, all of them tear jerking brilliantly handled dramatic events. 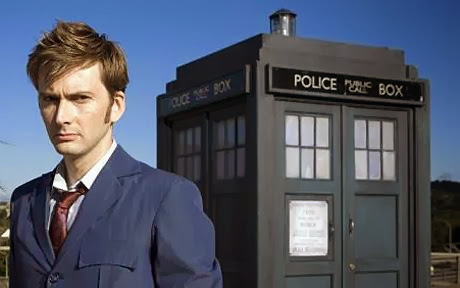 With Tennant you feel the stakes at every turn and you understand just how much the universe is on his shoulders. Which brings us to the wonderfully playful Matt Smith. You all know I like whimsy, so Smith was an easy sell for me. 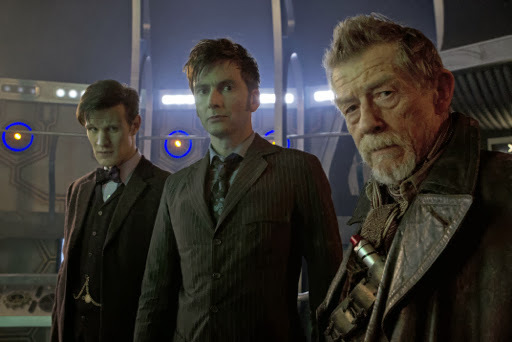 He had the unfortunate task of taking over after Tennant, but he dove in and created something new with his take on the doctor. A bit more flighty than the others he nonetheless has a darkness that lives just under the surface. He also introduces us to the best companion with Amy Pond. While I'm a big fan of Smith, I think Tennant still edges him out. I never feel like Smith is in the same universe in terms of consequences. Also aside from a few references Smith has a completely new set of friends that don't seem to have any relation to the previous 4 seasons. I still love Smith, his Weeping Angels episode is amazing and it's hard not to love the Pandorica two parter. So now what? Well now I sit here waiting for the 50th anniversary knowing that I stand in anticipation with thousands of other fans. All of us dying to find out why adventures our good doctor will have next. What alien race will try and imprison us, what horrible future humans will like like, what happens when cats take over and so on and so on. This is a sci fi geeks dream. It's a show I took far too long to try out and now I love it. I can't wait to see what Capaldi brings to the role. And if you haven't checked it out yet what are you waiting for? Allons It. One last thought - favorite episode? 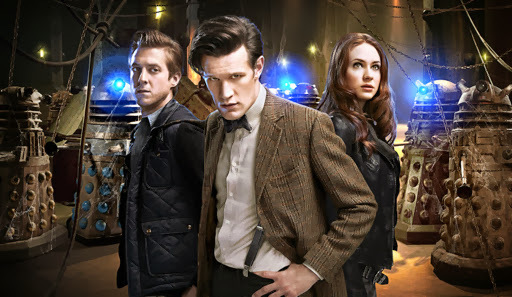 The three parter close to the end of Tennant's run that culminates in Doctor Donna.